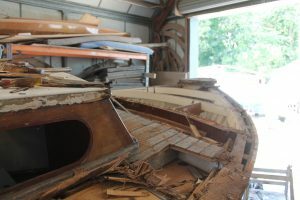 Snapdragon gains new owners, but loses a transom, hopefully not for long though! 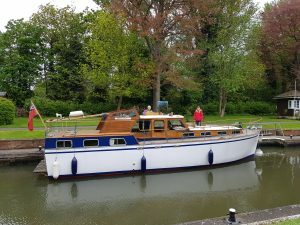 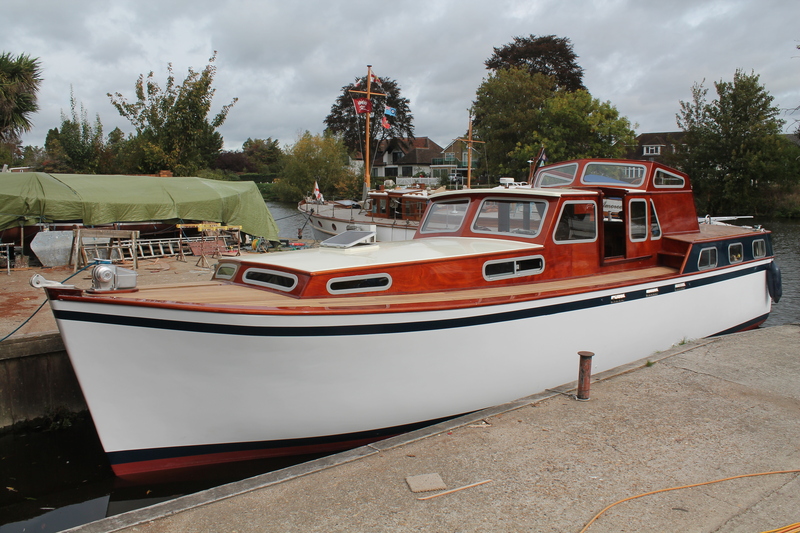 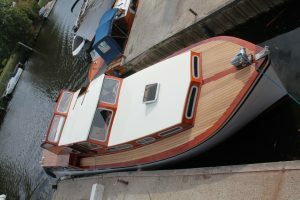 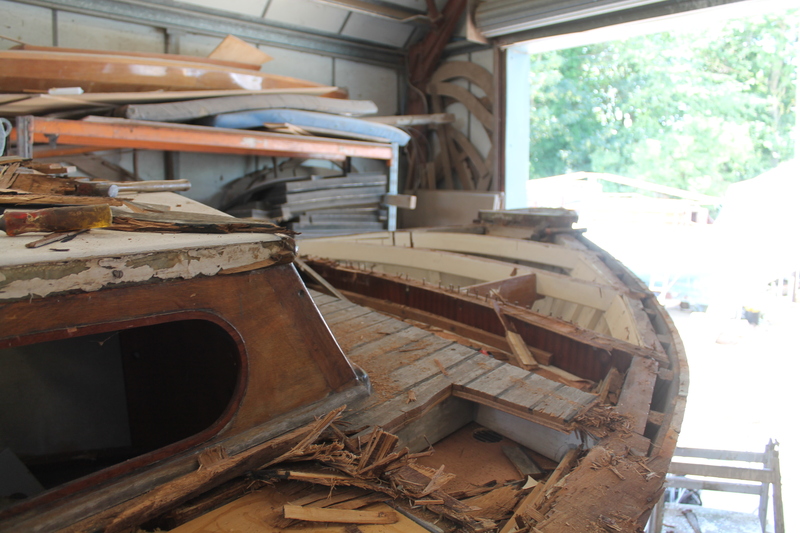 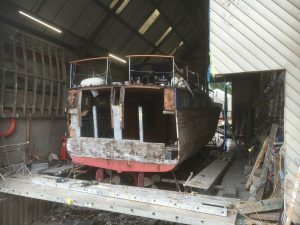 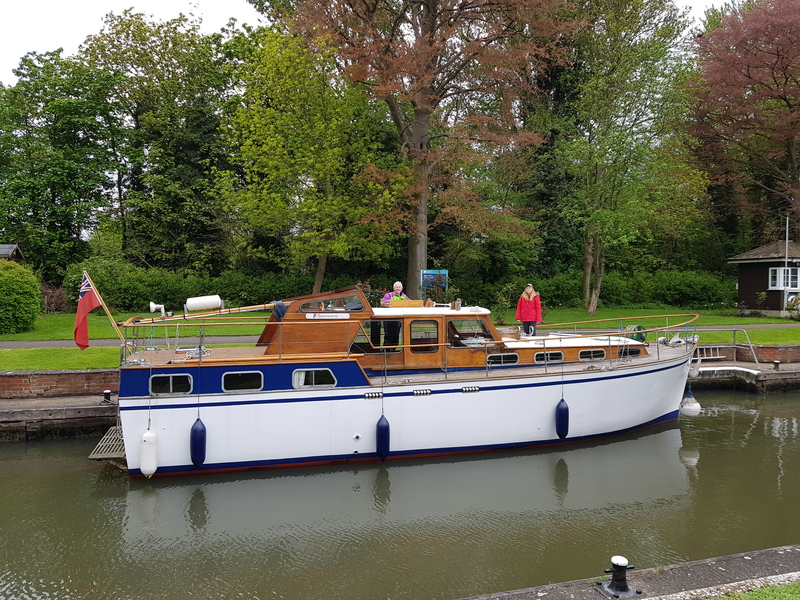 Abbey, the TV star and energetic young boatbuilder, has begun work on replacing the transom of Snapdragon at Michael Dennett’s yard on the Thames. Hard work in the current heatwave, but at least there is shade in the slipway. 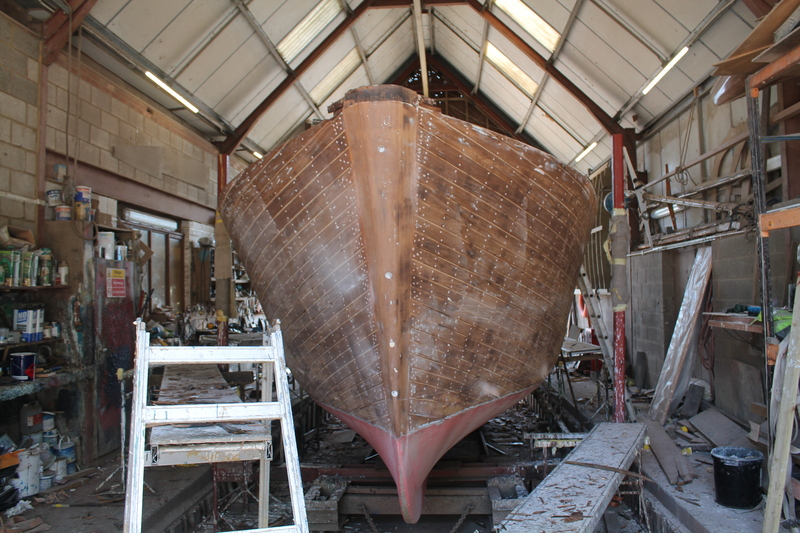 In a few weeks time the Iroko (and some Teak ) hull should be beautifully painted up and ready to launch. 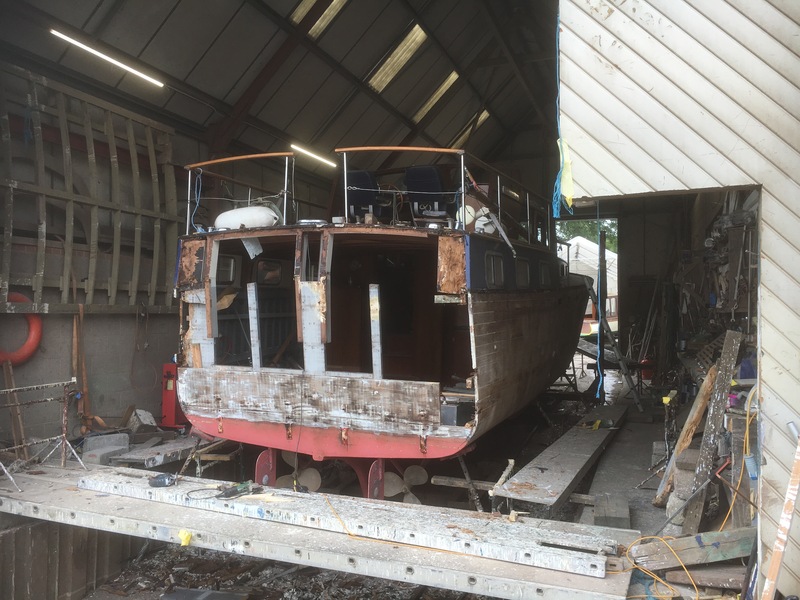 And indeed a few months later…..